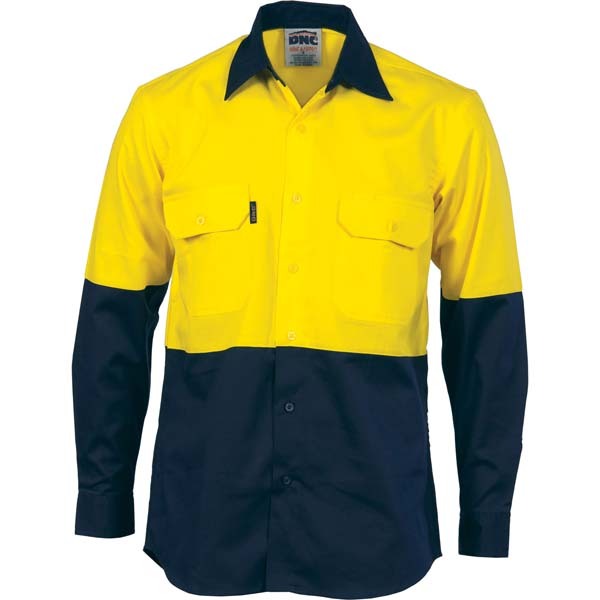 Hi Vis Cool Breeze vertical vented cotton shirt. 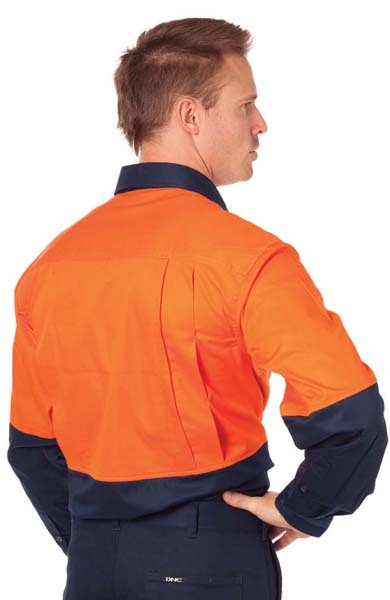 Under arm and vertical back mesh vents. 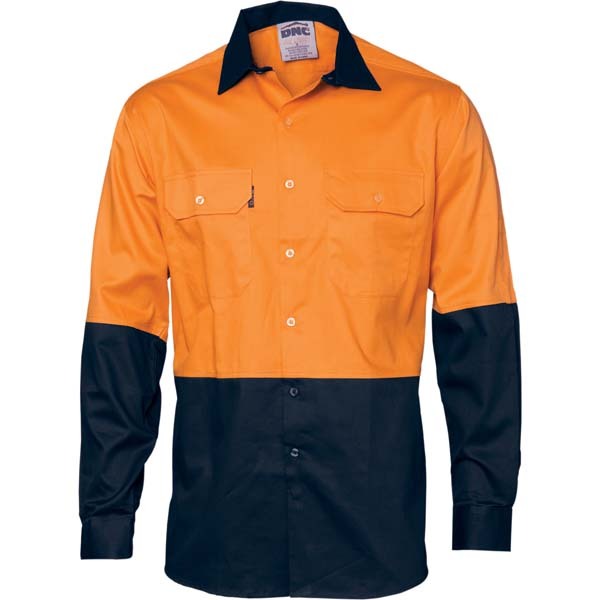 Twin button down flap chest pocket.